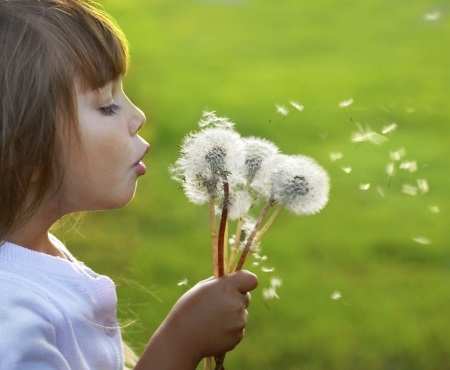 Chiropractic Care for Allergies. Have you ever looked outside at a sunny, Spring day and instead of feeling the joy of the new season, instead feel the dread of once again experiencing the headaches, runny nose, and swollen eyes that your seasonal allergies bring? Allergies affect millions of people worldwide, and their symptoms can range from mild to very severe–and while most people associate seasonal allergies with the spring, Fall allergies caused by mold and ragweed can be just as or more severe. Of course, in addition to environmental allergens, many people also deal with food based allergies to dairy, nuts, shellfish, strawberries, and many more. Though at one time children with allergies were said to “grow out” of them, however, generally this does not occur and often can worsen the more one is exposed to the allergen. Don’t suffer Anymore – We’re Here to Help! In many cases, Chiropractic treatment can be helpful in lessening allergy symptoms or doing away with them entirely. Allergies are an immune system disorder–the reactions you have when you are allergic to something, the watery eyes, sneezing, swelling, are all the ways that your body is attempting to rid itself of what it perceives to be as a harmful attack. Chiropractic seeks to remove interference from the immune system by correcting a condition that is known as subluxation. Over a six month period, regular upper next adjustments offer many allergy sufferers a significant amount of relief, many are able to significantly reduce their allergy medication and inhaler usage(which often carry many unwanted side effects. For instance, severe headache, or unexplained aching ,etc. can be a sign of various other diseases, so make sure you are cleared with your primary care physician before you seek chiropractic care. Why see a chiropractor for symptoms instead of an antihistamine pill and not think about my allergies for several hours? The answer is, because it takes less time to permanently fix something than it does to repair it, time and time again. While initially, yes, you will have more out of pocket cost than buying a $15 package of allergy medication, you will likely experience lasting results that do not have any unwanted side effects. Chiropractic not only promotes a stronger immune system, it also helps regulate the amount of histamine and cortisol produced during a high allergy season. When adrenal glands and hormones are functioning as they should, allergy sufferers will likely have a greater sense of well being and better ability to regulate their body weight, as well. Another important part to managing your allergies is making sure that you are eating a healthy, balanced diet that is not triggering your symptoms. Your chiropractor may discuss your current diet with you and try to find if any particular foods seem to be making your symptoms worse. In the beginning, you may have to go through some trial and error to find out for sure, but the combination of chiropractic adjustment and a diet that supports your overall health is certain to make a positive difference in your life. Chiropractic may be used in addition to other medical care and medical doctors now realize that chiropractic treatment can often solve problems that traditional medicine cannot; And unlike the myth that seems to have been passed around for many years, you do not “have” to keep receiving chiropractic care lest your condition somehow get worse. if you no longer feel it is helping you. Certainly, your improvement may not last forever if you choose to no longer receive adjustments, but you will be harmed in any way. In addition to helping allergy sufferers, chiropractic can also be effective in treating other disorders such as ADHD, Stress, Pinched Nerves, and Fibromyalgia. If you have questions or are curious about how chiropractic can help you, call us on (416) 479 – 8311. We are happy to answer any questions you might have.